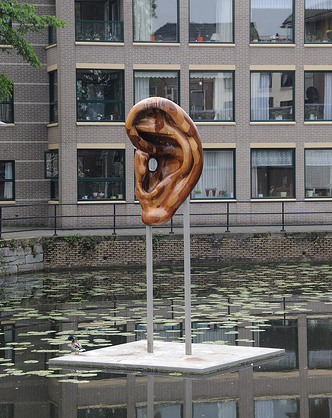 Johanna Drucker reads a diverse sampling of her writings that spans more than thirty years, including Fragile (1971), From A to Z (1977), Tongues (1982), Damaged Spring (2003) and Combo Meals (2008). 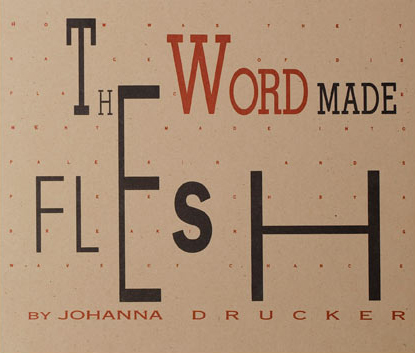 Johanna Drucker is a printer, book artist, poet, and scholar. Her many books are available in digital versions at Artists' Books Online, a treasure trove of digitized artists' books that she has created. She is the author of Alphabetical Labyrinth – a history of the alphabet, and of The World Made Visible, on the importance of the visual dimension of writing, as well as of Graphic Design History: A Critical Guide, with Emily McVarish. After many years at University of Virginia, Drucker now teaches at UCLA. Explore more of Johanna Drucker's work at the Electronic Poetry Center (EPC).